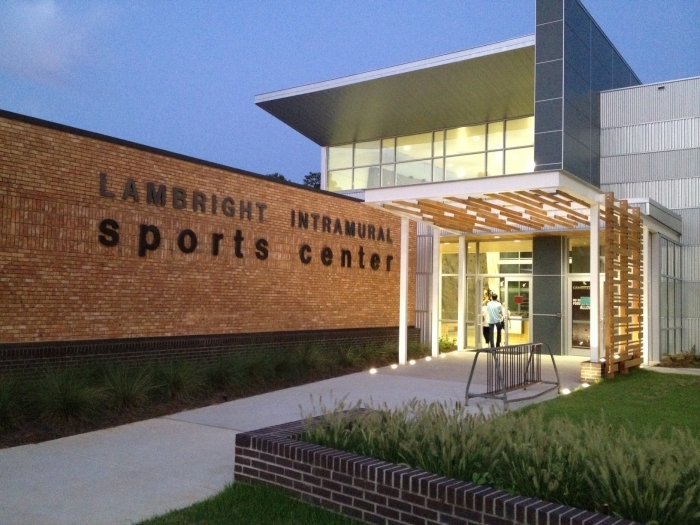 Lambright Sports and Wellness Center Expansion at Louisiana Tech University in Ruston received the Silver and Members' Choice Awards at AIA Baton Rouge Rose Awards recently. This excellent project, completed by Lincoln Builders earlier this year, is a product of the joint venture of Tipton Associates and Ashe Broussard Weinzettle Architects. The expansion of the Lambright Sports and Wellness Center at Louisiana Tech sysnthesizes student athletics on campus by combining a new competitive aquatic center with a variety of recreational, dining, and leisure opportunities that focus on a holistic picture of student wellness - mine and body. In contrast to the existing internalized intramural center, the expansion was conceived with all activities in plain sight to support student choice and promote social experience.